Jean-Claude et Nicolas Fayolle Crozes-Hermitage Rouge La Rochette 2015 is made from 25-year-old vines planted on loess and red granitic soils. 100% Syrah. Wine was bottled in September 2016. Soil type is red brittle granite and white soil. 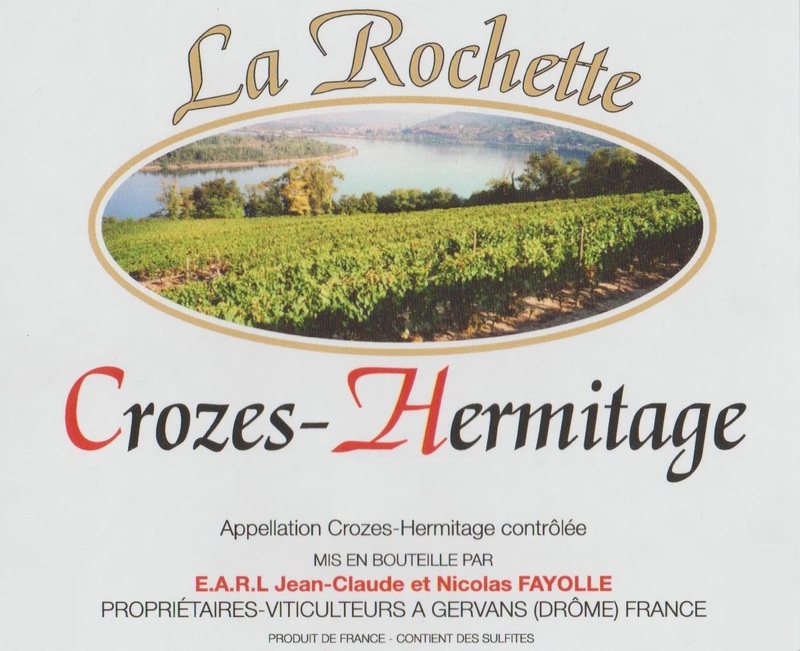 "A big step up in quality (for not much step up in price), the 2015 Crozes-Hermitage La Rochette comes from slightly more granite soils and spent 12-15 months in neutral barrels. It has beautiful purity of fruit as well as classic notes of ripe black fruits, bloody meat, saddle leather, peppery herbs, and some telltale minerality. Medium to full-bodied, concentrated, and textured, it’s a rock star of a Crozes Hermitage to drink over the coming decade or so."